As much as I love wearing hats, I've always played safe and chosen simple caps. 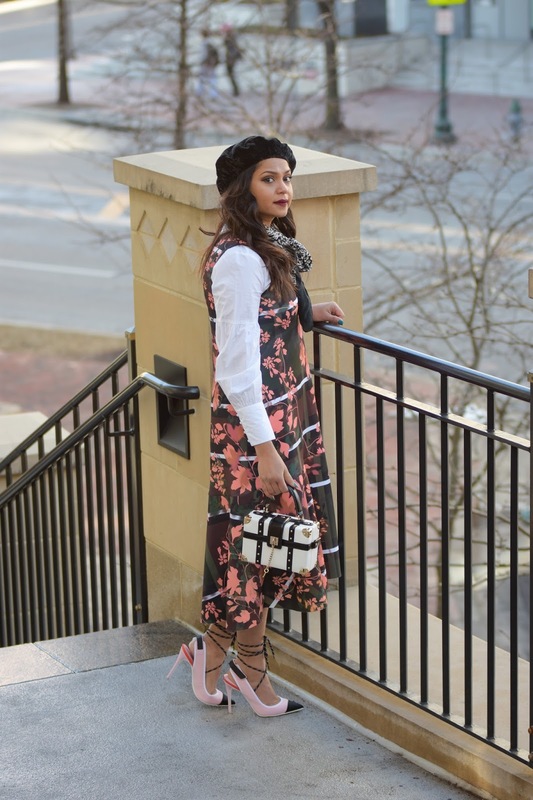 But this, one bold trend that has taken the fashion scene by storm is the BERET trend. Pronounced as buh-rey, this hat trend has surely got us all excited. It took me a while to warm up to this trend, but now this girl is obsessed, and I mean a serious case of obsession- my Instagram be my plea. 1) IT MASKS BAD HAIR DAYS- need I say much here....! We all have crazy hair days, be it either weather-related or pertaining to no-shampoo days, a beret masks up your mane in seconds. I have even worn it to the office, especially on casual dress code days. 2) IT IS VERY PARISIAN CHIC - I dare you to channel some Parisian vibes, especially when fashion week is in full swing: first New York fashion week and then Paris fashion week. 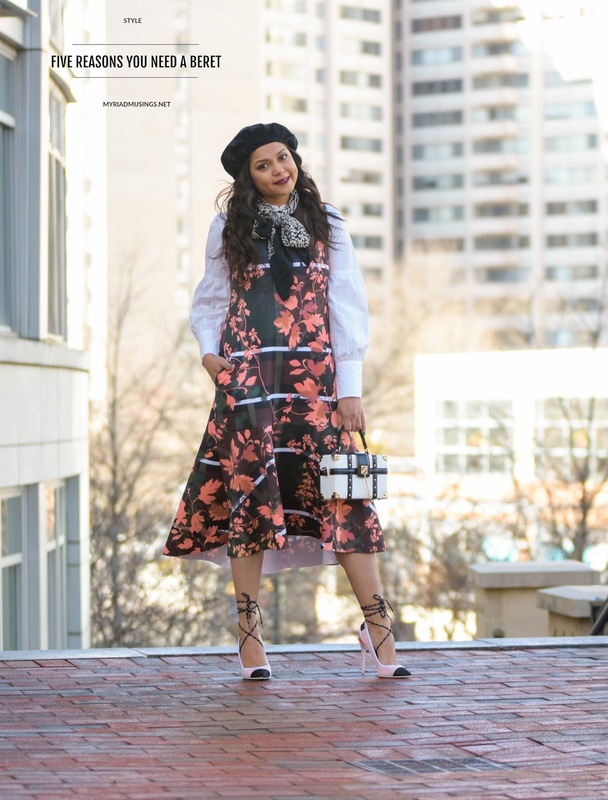 What if we aren't in NY or Paris baby.... we can channel our inner Parisian fashionista by bringing Parisian fashion via berets on the streets. 3) IT INSTANTLY UPS YOUR OUTFIT GAME- Nothing can be a better contender than a hat, beret here, in upping your outfit game. Velvet, wool, fur- you name it, and there is a beret in that fabric and for every mood. Not feeling your outfit??? Just add a beret, in your favorite color and voila ! !- you are set to conquer anything, all pun intended. 4) IT IS AFFORDABLE- Unlike other trends, you don't need to spend a fortune towards this trend. Almost all fashion retailers have delved into this trend, making it accessible for every budget. 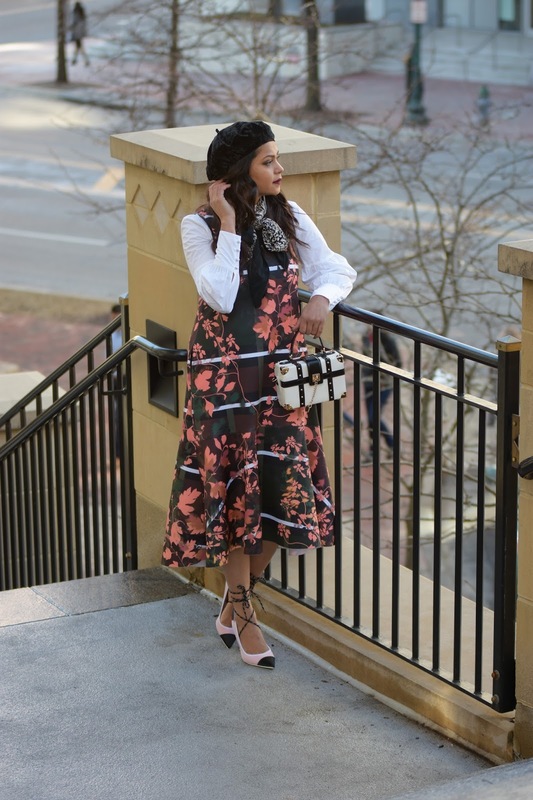 5) IT IS SAUMYA-APPROVED- as much as Dior approves of this trend, I give both thumbs up to this trend. 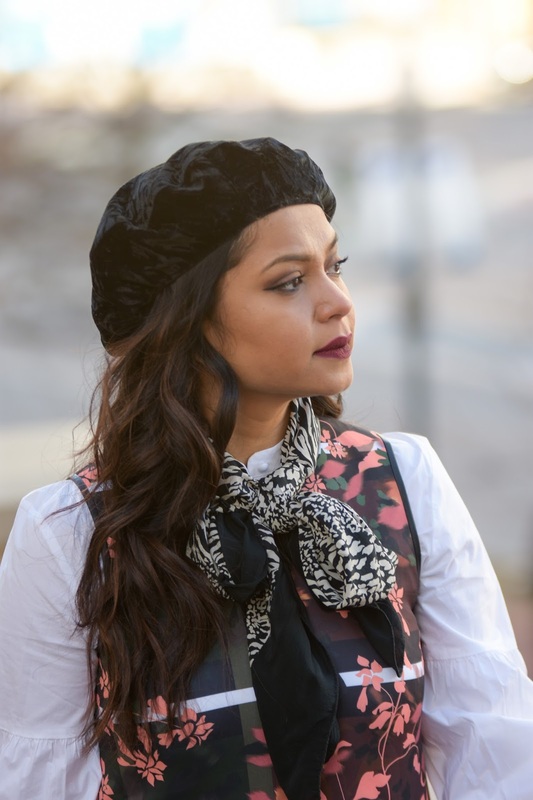 Berets are so easy, fun, trendy and truly a hair-saving-hack. Are you feeling this trend?? ?